A writing collaboration is often referred to as the process of doing twice the work for half the pay. A successful collaboration, though, results in a story that neither author could have written alone. In that way, the joint effort can benefit both collaborators. produced on a spirit duplicator. As high-school students in the early 1970s, my best friend and I were determined to become the next Isaac Asimov and Robert A. Heinlein. 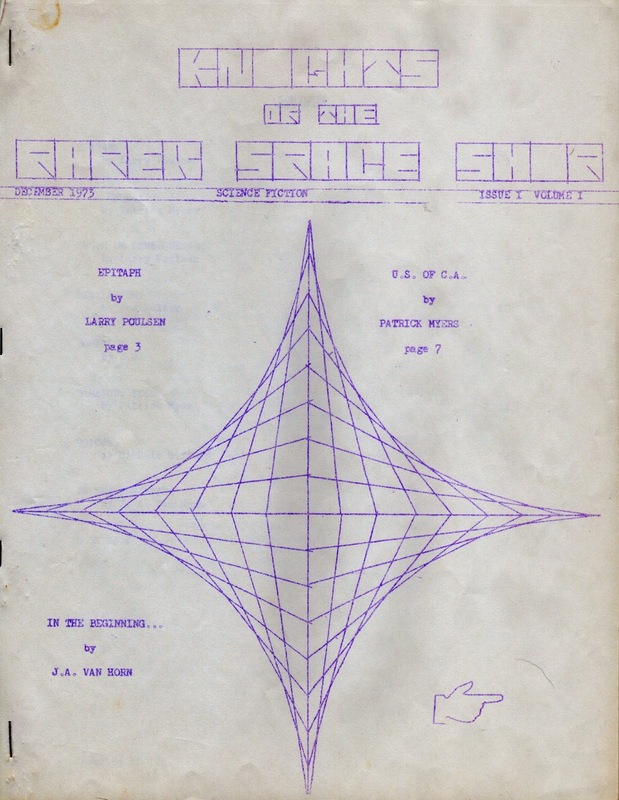 Our junior year, Joe Walter and I started Knights of the Paper Space Ship, a science fiction fanzine, to publish our short stories and those of our friends, and we spent a great deal of time together writing and editing. We collaborated a few times, writing “faan fiction,” which is fiction about science fiction fans. The stories were, in essence, stories about us, narrated by Patrick Myers, the non-existent third member of our group. Joe and I alternated time at the keyboard, each writing a sentence or a paragraph or an entire scene before relinquishing the keyboard to the other. 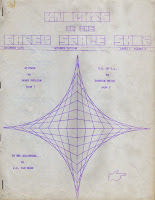 Because we typed directly onto mimeograph stencils, there was no editing or revision allowed. What we wrote together back then was not great literature, but it was fun to write and may have been fun to read. Joe was the first of us to sell a story to a professional market—Vertex, which ceased publication before printing his story—but never sold another. “Patrick Myers” (my middle name combined with my stepfather’s last name) became a pseudonym I have used several times since then. In the mid-1970s, during my first attempt at attending university, I worked for the Daily Alestle, Southern Illinois University at Edwardsville’s student newspaper. While there I met Walter Earl Roper, and we collaborated on several articles for the paper. At the time, I was the better writer and he was the better journalist, so Walter did most of the interviewing and research, and I did much of the writing. Perhaps not surprisingly, neither of us became journalists. He went on to receive a B.A. in Organizational Science Databases, Statistics, which uses his superior research skills, and I concentrated on writing fiction, which requires almost no research skills. My second wife, Pamela Cliff, received her undergraduate degree in journalism, and she had worked as a journalist and magazine editor prior to our meeting in Senatobia, Mississippi. At that time she worked as a customer service representative for a printing plant, and I was hired as the plant’s composition systems manager. Pamela wanted to write fiction, but never seemed to finish anything, so our collaborations became a game. She would write the opening page or so of a story and I would finish it. Together we wrote and sold more than a dozen short pieces of erotica, all under pseudonyms. She wasn’t satisfied with writing short pieces, though. She wanted to write a novel. So, prior to a diagnosis of cervical cancer, Pamela began work on a novel, which I completed several years after her death and self-published under my Rolinda Hay pseudonym. Stud is available for Kindle. 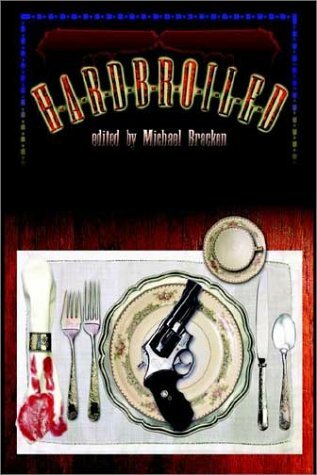 During the early 2000s, I edited five crime-fiction anthologies—Hardbroiled, Small Crimes, and the three-volume Fedora series—and Tom Sweeney was the only writer to have a story in all five. Around that time I was in discussions with a regional publisher to edit a crime fiction anthology, but every contributor had to live in Texas or to have been born in Texas. Tom fit neither category. We passed the story back and forth many times, using Word’s Track Changes function to see what each of us had added, corrected, or changed, and we held discussions about the plot either within the document or in the emails accompanying the manuscript as we passed it back and forth. By the time we finished writing, the anthology opportunity had disappeared. We soon placed the story with Ellery Queen’s Mystery Magazine—the first sale to EQMM for either of us—and “Snowbird” appeared in the December 2007 issue, later placing fourth in the annual EQMM Reader’s Poll. Tom doesn’t write much fiction these days, but his most recent non-fiction books, collaborations with his wife Annette titled You Ate the Wings Upon My Plate and Three Coins in the Construction Zone, were released in December 2018. Because my post was facetious, I did not anticipate anyone volunteering, so I was surprised when Sandra did. Thanks to membership in the Short Mystery Fiction Society, we have “known” each other for several years—I wrote a piece for a newsletter she edits, and she’s written two for a newsletter I edit—we were already familiar with each other’s writing. I don’t know if Sandra called my bluff or if I called hers, but not long after that I saw an anthology’s open call for submissions, I had an idea I thought would be appropriate, and I shared the idea with Sandra. Though she has written some fiction, Sandra’s a well-established nonfiction writer, and turning my idea into a finished manuscript would require the kind of research that non-fiction writers do on a regular basis. After much back-and-forth, we completed our story before the submission deadline, and I’m pleased to announce that “Gracie Saves the World” will be included in Maxim Jakubowski’s The Book of Extraordinary Historical Mystery Stories: The Best New Original Stories of the Genre (Mango), which is scheduled for an April 2019 release. Sandra and I are currently kicking around two additional story ideas, one she brought to the table and one I brought to the table. I’m currently editing three anthologies for Down & Out Books—one’s been turned in, one will be turned in soon, and the third is due before fall of this year. In 2017, I began work on the first—The Eyes of Texas, a collection of private eye stories set in Texas and scheduled for release just in time for this year’s Dallas Bouchercon. At ArmadilloCon in Austin that summer I participated in a panel discussion about editing anthologies, and I announced to the audience that The Eyes of Texas was open for submissions. James A. Hearn—Andrew—was in the audience. Andrew has been a finalist, semi-finalist, and honorable-mention recipient in the Writers of the Future contest, a quarterly competition now in its thirty-sixth year that has launched the careers of several science fiction and fantasy writers. He had been concentrating on writing science fiction and fantasy, had not yet been published, and left ArmadilloCon determined to submit a story to The Eyes of Texas. He did, I accepted it, and he’s gone on to contribute to the two other anthologies I’m editing. Andrew and his wife Dawn live sixty or so miles south of Temple and me, and last year they joined us for our annual spring writer gathering. Since then we have twice met the Hearns for dinner, and the last time we met—mid-December—I became aware of Andrew’s knowledge of football. I just happened to have a story that I stopped working on because to finish it would require football knowledge. I provided Andrew with a rough description of the story and asked if he’d be interested in collaborating on it. I sent Andrew my partially written scenes, rough outline, and notes, and yesterday, as I write this, he returned a complete draft of the story. The manuscript will likely bounce back and forth a few more times, but I think it’s almost submission ready. Many other people have impacted my writing in one way or another. Some have given me story ideas, some have helped me organize plots, and some have proofread my final drafts—Temple does all this and more—but the writers mentioned above are the ones with whom I have truly collaborated, creating work that neither of us could have created on our own. Twice the work for half the pay? Certainly. But well worth the effort. 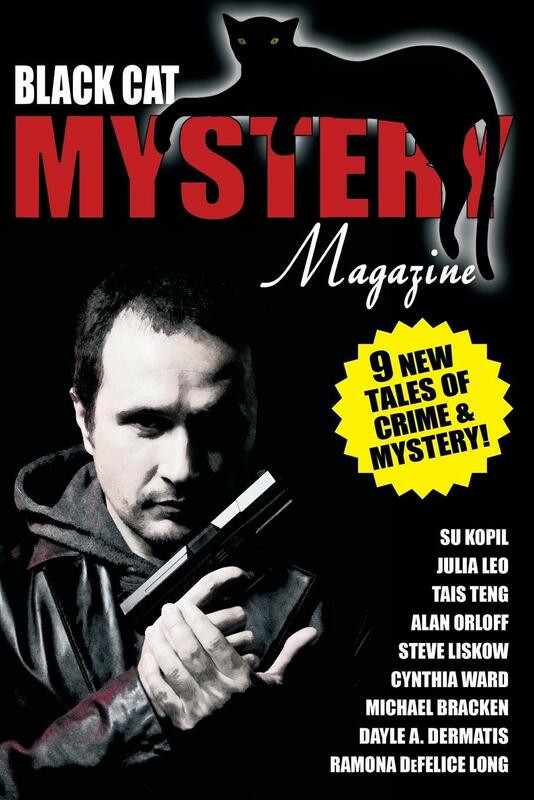 My story “Something Fishy” appears in Black Cat Mystery Magazine 4 (January 2019). After receiving my first two acceptances of 2019, I’m ready to up my bio stats from more than 1,200 accepted stories to more than 1,300 accepted stories. Alas, that isn’t 1,300-plus unique stories because more than a dozen of the acceptances are for reprints or secondary rights of some kind. And it isn’t 1,300-plus published stories because I can’t confirm how many stories have actually been published; early on I sold to several publications that never sent contributor copies and, because they often changed pseudonyms and story titles, I’ve no way to locate the stories through any known databases and indexes. Still, the checks cleared the bank. And then of course there's the work you do as an editor of anthologies, Michael, which often involves uncredited collaboration with your contributors: making a suggestion here, asking a question which motivates the author to re-examine and change a plot point or characterization there. I've always found the collaborative process fascinating, and it was very interesting to get your take on it and read about your experiences. I've been on both sides of that editorial desk, Josh. As a writer, I've worked with many editors who, through suggestions large and small, have made my work better. I can only hope I've done the same for other writers in my role as an editor. One form of collaboration I didn't touch on is co-editing, which I know you've done. I'm working on a project now with a co-editor—details to be announced soon!—and co-editing is quite different than co-writing. Even so, I think the end result will be something unlike what either of us would have produced as sole editor. It was fun hearing about your many collaborations--and I'm glad all of them seemed to work well. (I remain a big fan of Tom Sweeney's.) My only collaboration was with writer and editor Andrew McAleer years ago--we wrote a story together for AHMM that the editor (Cathleen Jordan, I think, at that time) promptly rejected. But the project WAS fun, and I think I learned something from it. Congrats as always, for not only these latest acceptances but for all your ongoing gigs in editing anthologies. That's hard work! Interesting article. Good information. My wife debb helps me with a lot of stuff and we have collaborated a few times. Only other writer I collaborated with is fellow New Orleans writer Kent Westmoreland. A different way to write. You and Andrew gave up after one rejection, John? For shame! O'Neil, you're right, collaborating is such a different way to write, but as John says, you can always learn something from collaborating (even if what you learn is not to do it again!). This is fascinating, Michael. And, as Josh said, editing at its best is always a collaboration. Congrats on 1300 stories, too. Back in college, a couple of friends and I tried collaborating on a few plays. I ended up doing most of the writing, which may explain why they were so awful. Since then, the closest I've come to collaborating is directing or producing plays. Loved "Something Fishy" in BCMM, by the way. Thanks, Steve. Glad you enjoyed the story. Collaboration is easy when you have a great partner! Glad to finally get something productive out of being a lifelong Cowboys fan. It's a remarkable journey, Michael. I'd enjoyed your mystery fiction, but I discovered through Vicki Kennedy your godlike stature among the women readers (and writers) of the TRUE magazines fan base. I've dabbled a bit working with others, but I haven't published anything with another. It might be fun. I'll forgive you your love of the Cowboys, Andrew, but only because I'm taking advantage of it! There's all kinds of advice for writing with others, Leigh, but I try to keep my arrangements simple: we share the byline, we split the money (if any), and I get final draft. Everything else we figure out as we go along. For Fun or for Profit? Nurse burnout: Maitre d' or Sentinel?